To really get a grasp on employee performance, you need a variety of feedback models for both employees and managers. But with so many tools in the employee appraisal toolkit, which ones do you use to get the job done? Here we take a clear look at what a self-review, manager review, peer review and upward review can accomplish in a performance cycle, using the hypothetical case of Jane, the Director of Finance. Let's pretend it's time to evaluate Jane's performance. Read on to find out which types of reviews you might use. What is it: The self-review is exactly what it sounds like. This self-discovery piece of the performance management puzzle usually shows up in the form of a brief survey asking an employee a series of general questions about their contributions over the course of the year and what the company can do on its part to help them perform better. When to use it: It's usually used as part of a performance review process, not a stand-alone review. At many companies, employees are asked to complete a self-review as a way to prepare for their year-end annual review. How to use it: Though self-reviews are most often used as a way to pave the path for an individual's annual appraisal with their manager, they can also be a great way to help get clarity on a role that may have changed over time. For leaders and managers they can help you identify job/scope creep, keep your finger on the pulse of employee engagement and uncover innovations that might have otherwise stayed siloed. Using our example of Jane, the Head of Finance, you might want to consider asking her to complete a self-review if you've noticed a drop in some of her standard KPIs. If Jane has traditionally been a reliable performer, the issue might be that changes in the business, market or regulatory landscape have drastically or incrementally changed the amount and/or type of work she's required to do each day. This will also help focus your appraisal around any aspects of Jane's role that might not be a fit for her personality and could be damaging her level of engagement on the job. A self-review can be a great way to help Jane prioritize and develop a plan for her future growth. But be careful. You must be ready to follow up on the feedback received in a self-review, otherwise, you could risk losing her for good. What is it: The manager review is the classic review most of us think of when we hear the words, "employee appraisal." This is where a manager or supervisor assesses, using questions, ratings or a combination of both, the performance of an individual employee over a specific period of time. When to use it: The manager review has traditionally been a year-end occurrence but with the rise of continuous feedback, many companies, including household names like Adobe, GE, Deloitte and Microsoft, have incorporated real-time, project-based and quarterly reviews. How to use it: The way you use the manager review will have everything to do with your unique size, shape and ethos as a business. 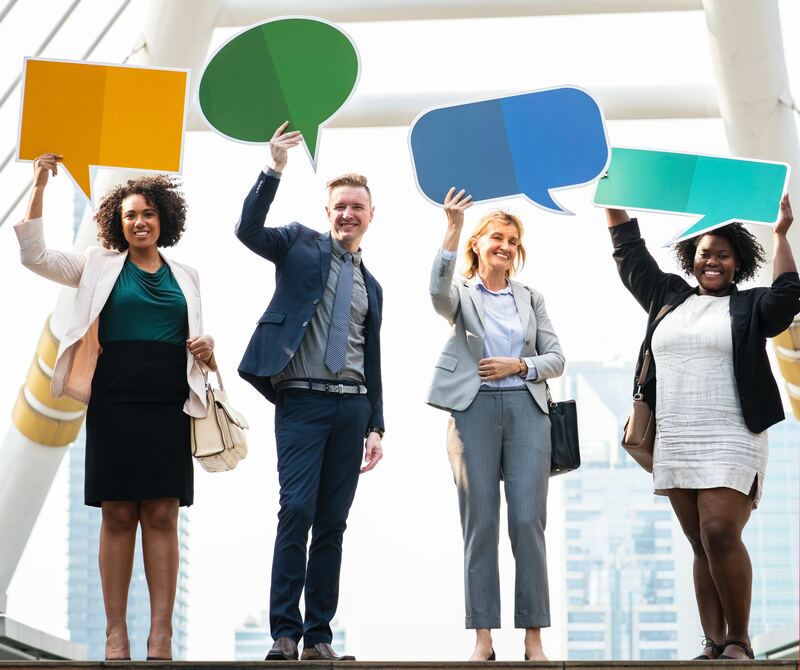 While it's true that companies of all sizes are shifting away from annual appraisals, many are still keeping the annual manager review and simply integrating more feedback during the year. As flawed as manager reviews are, research shows they're still the most accurate type of review available to us. But the results you get are all about how you use them. Research shows that 43% of highly engaged employees receive feedback at least once a week. So if Jane's feeling disengaged because of an overwhelming workload or because she hasn't heard any feedback (positive or negative) for weeks or more, you might consider introducing a quarterly review that fits the rhythm of her work in finance and then follow that up with weekly or biweekly informal check-ins guided by the outcomes of those reviews. What is it: The peer review is an appraisal that asks an employees' co-workers to provide their feedback on an individual's performance, skills, competencies or attitude. How to use it: While self-reviews and manager reviews are often seen as a staple, the decision to use peer reviews isn't always taken for granted. The way you incorporate peer reviews will have a lot to do with the overarching goal of your performance management strategy and unique company culture. For example, at prototype optics manufacturer of Optimax, peer reviews are used to assess skills and identify areas for improvement, while at Google, peer reviews are an essential element of upholding culture (e.g, "Do the right thing" or formerly, "Don't be evil"). If you feel you need a wider view of Jane's performance, including how it could be impacting the working culture and vice versa, a peer review (or series of peer reviews) can give you that perspective. What is it: There's a growing body of evidence supporting the idea that feedback should go both ways. Companies like Google give employees that chance by letting them rate their bosses in an upward survey. When to use it: Similar to the peer review, upward reviews work best when you have a culture of transparency and trust to support it. In these cases, you can use the peer review as part of your standard review process or as a supplemental review to help guide your top-level performance strategy. At Google, the upward review is issued on a semi-annual basis. How to use it: With a growing emphasis on the impact of bad bosses, it can be tempting to jump on the upward review. But like all reviews, the upward review comes with its share of pros and cons. As a general rule, aim for a mix of specific quantitative and qualitative questions and make sure your managers know its coming. If it turns out that what Jane really needs is a little help learning how to be a better leader, you might lay out a growth plan that includes some learning and development in this area. From there, you can let Jane know about the benefits of upward feedback and see how she'd feel about using an upward survey with her reports. If she and the rest of the team are fully bought in, it could be a great way to track a game-changing cultural shift.